But that’s what we have. While the pitching staffs have a big name or two, not many position players in this Fall Classic are household names outside their teams’ cities. 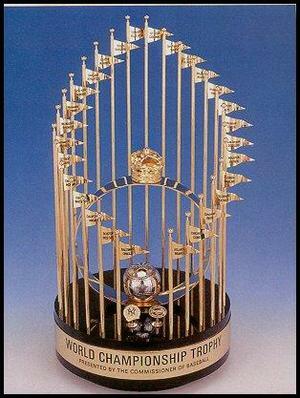 And there is little doubt that the Texas Rangers will win their first-ever World Series. Here are three main reasons why. 1. Cliff Lee v. Tim Lincecum – Clearly, both are outstanding talents. For such an elite-level pitcher, it is very strange that Cliff Lee has pitched for four ML teams since April 2009 (Indians, Phillies, Mariners and Rangers). This is Lee’s ninth ML season, but only his second postseason. The key to Lee is that he’s been through it all before – just last year in Philly. His Phillies didn’t win the 2009 World Series, but he knows exactly what it feels like to warm up before Game One on baseball’s biggest stage. Tim Lincecum has absolutely no idea. With a career 56-27 record, and 125 major league starts, Lincecum is the Giants’ ace. But he’s never been here before. Lee and Lincecum will go head to head in Game One…and possibly twice after that if the Series goes the distance. 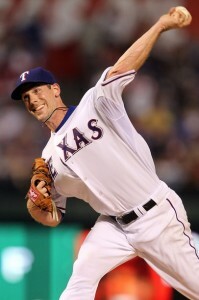 Look for Cliff Lee to come out besting the 26-year old Lincecum when they go head-to-head. 2. Josh “Mr. Everything” Hamilton – Chosen first overall in the 1999 ML Draft, Hamilton was destined for greatness with the Tampa Bay Rays. But a car accident and a seemingly unending string of drug-use incidents derailed his career before it even started. He was completely out of baseball from 2004-06. His career was over, right? Not so fast. He cleaned up and finally made his ML debut with the Cincinnati Reds in April 2007. After one season in Cinci, he was dealt to Texas where he has torn it up. This year, the 29-year old hit .359 (to lead the AL), hit 32 home runs and exactly 100 RBI. In the ALCS against the Yankees, Hamilton hit four home runs and seven RBI. The Giants do not have a single player in their line-up who even approaches that power potential. If Hamilton has another great series against San Fran, the Rangers will be able to break out the celebratory ginger ale (in respect of Hamilton’s sobriety) again in about a week. 3. Rangers’ supporting cast – After Cody Ross’ NLCS heroics for the Giants (three doubles, three home runs, five RBI v. Philly), their offensive talent tails off pretty fast. As a Giants’ fan, do you feel comfortable relying on Aubrey Huff and Buster Posey to break out? Didn’t think so. 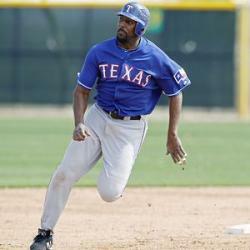 Vladimir Guerrero, the Rangers’ everyday DH, will play RF in Game One. Manager Ron Washington knows he must have his bat in the line-up. It’s Guerrero’s first World Series, but his 41st ML postseason game. Invaluable experience. 2b Ian Kinsler’s HR and RBI numbers tailed off this season, but he pounded three round-trippers and six RBI v. the Rays in the ALDS. Simply, the Rangers have far more potentially big hitters in their line-up than the Giants. If the Giants score more than three runs in any game, it will be surprising. The Giants are completely outmatched in this World Series. I cannot see how the Rangers will not win. 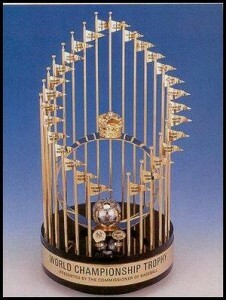 Then again, anyone recall the 1969 New York Mets? Extremely hard to believe that the San Francisco Giants were victorious in the Series. Good for them! How long has it been now? 60 years? because they haven’t won the World Series in San Francisco. They last won in 1954 as the New York Giants, As a Giants fan from the Bay Area I also feel like the Giants have not won the World Series even though they did back in New York.